When I am presented with an assorted box of donuts, I inevitably reach for the sparkly white belly button. 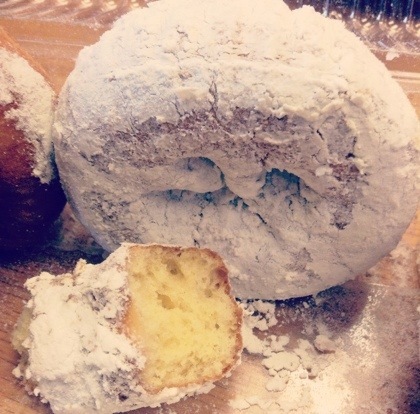 Powdered sugar donuts just KILL me. The fluffy texture, the soft sweetness, the post nom finger licks. Le sigh. Is there anything quite so good as these sugar pillows? Bon app y’all. Photo credit to me. Donut credit to my girl Victoria. Thanks boo.